Planning your next vacation to Kauai? Looking for the right Kauai Beach Resort for your family? We can help ... with many great vacation ideas, reviews, and travel tips. All from experienced vacation travelers who know and love Kauai! Whether you're looking for Kauai Beach resorts, the best Kauai restaurants, or you want an exciting outdoor adventure, ... we've got all the information you need to plan a great Kauai vacation. Your vacation in Kauai - Come enjoy the "Garden Island"
Kauai's greatest attraction is the sheer beauty of the island, appropriately nicknamed The Garden Isle. But whether your planning a romantic getaway for two at a great Kauai Bed and Breakfast or a fun Kauai beach resort for the whole family, a vacation in Kauai provides both young and old with a broad variety of activities to fill many sun-drenched days and warm tropical nights. Lush, green Kauai is the northernmost of Hawaii's main islands and measures 550 square miles in area. It's believed that the island was formed more than six million years ago and travelers to this incredible island can view not only the sites of modern day Hawaii while on vacation in Kauai but also the magnificent heritage and historic sites of the island. The island is divided in to five regions and a trip to Kauai ought to encompass a little time in each area. The magnificent North Shore boasts the Na Pali Coast, with majestic cliffs rising more than 4,000 feet above the ocean as well as the beaches of Hanalei Bay, one of the oldest settlements on the island, and Lumahai, made famous in the movie "South Pacific." Don't miss the northernmost point at Kilauea, with its picturesque lighthouse and spectacular wildlife refuge. The rugged West Side of the island offers visitors on vacation in Kauai some of the most amazing scenery in all of the Hawaiian Islands. Visit Waimea Canyon, dubbed "The Grand Canyon of the Pacific" and enjoy unbelievable views of some of the most photographed scenery in Hawaii. Visitors will also want to make a stop at Polihale Heiau, the place where, according to tradition, departed souls leave the island and head into the setting sun. Spectacular! The South Shore is full of enticing beaches such as Maha'ulepu Beach with its ancient petroglyphs and the rocky Shipwreck Beach, both perfect for snorkeling or scuba diving. Of course, there's Poipu Beach, continuously voted one of the world's top beaches by travel experts throughout the industry. Click www.poipu-beach.org for more about this fantastic beach and all that it offers. The tiny South Shore is also home to a number of interesting historic sites. 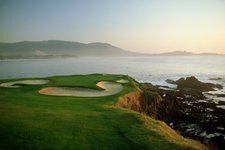 Golfers on vacation in Kauai won't want to miss the Lihue/Kalapaki region, the island's county seat and site of two 18-hole courses designed by Jack Nicklaus. The Huleia National Wildlife Refuge located here offers stunning scenery and a great place to photograph native birds and animals. Remember the opening scene of the 70's television show Fantasy Island? That was filmed near pristine Wailua Falls, once the site of thrilling cliff diving. The Coconut Coast, located on the northeastern portion of the island, beckons vacationers to Kauai to visit its many sacred sites and Hawaiian cultural attractions. On the Coconut Coast resides the 19th century plantation town of Old Kapa'a, sprinkled with fine restaurants and distinctive shops. After discovering the rich variety of the island while on your vacation to Kauai, it's time to experience the many activities that make Kauai one of the most desired vacation destinations in the world. 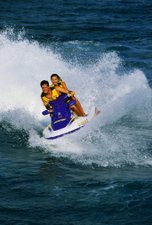 Water sports are probably the most plentiful activities that guests enjoy while on vacation in Kauai. The calm waters of the South Shore, with its diverse and plentiful marine life, offer the best scuba diving on the island. Windsurfers can check out Anini Beach while on vacation in Kauai, with consistent winds that make windsurfing a breeze, so to speak. Avid fishermen love Kauai! Both freshwater and saltwater fishing are available in Kauai and lucky anglers can catch such delicious delights as ahi tuna, marlin, ono, and aku, and later that evening prepare them for dinner. If you prefer the land to the water, you'll discover that hiking in Kauai is spectacular. Since only about ten percent of this picturesque island is accessible by road, there's plenty to explore on foot that you might otherwise miss. Magnificent hiking trails like the Kukui Trail to the breathtaking Waimea Canyon offer hikers views that are unparalleled. Many trekkers use the island's state parks for camping while on vacation in Kauai and there are also scenic trails designed specifically for horseback riding. When it's time to slow down a little, Hawaii offers a wealth of cultural and historical attractions for those who enjoy learning a little more about the island and its history while on vacation in Kauai. Don't miss the National Tropical Botanical Garden on the South Shore, Captain Cook's Monument on the West Side, the early 19th century Waioli Mission House in the North, and the lush Keahua Forestry Arboretum on the Coconut Coast while on vacation in Kauai. Be sure to also stop at the local history centers and museums that dot the island to learn more about Kauai's past. Couples looking for more privacy and a home-like setting should consider one of the many Kauai bed and breakfast inns. When you look for a Kauai bed and breakfast you'll often find that, unlike the major Kauai beach resorts, they're located in quiet neighborhoods and are thus off the beaten path. See our Kauai Bed and Breakfast page for more recommendations. Kauai Restaurants offer a wide selection of choices from mom-n-pop deli's all the way to gourmet fine dining. Many of the upscale Kauai restaurants are found within one of the larger Kauai beach resorts but are, of course, still open for non-resort guests to enjoy. See our Kauai Restaurants page for more information. One of the first planning tools you'll want is a good, up-to-date map of Kauai. Visitors will find an abundance of free travel guides in the Kauai Airport, shopping centers, and resort lobbies. Each one of these include a detailed map of Kauai showing popular tourist destinations. But to plan your trip in advance you can take advantage of an excellent on-line map of Kauai such as those referenced on our Map of Kauai page. On this site, you'll have the opportunity to explore Kauai in depth and learn about the land and its people. We'll also offer you invaluable vacation tips about where to stay, what to do, the coolest places to shop, and which restaurants offer the best food on the island. If you like what you see, you may want to make Kauai your next home, so we've also included some information on purchasing real estate on the island. Should you have any questions, we're here eager and ready to help you organize your vacation Kauai or assist you in learning more about the magnificent Garden Island.